People who have seen the whole thing ( I have only seen partial views) describe it as looking like a Jeep Wrangler in the face. Don't think I agree, other than it is very retro, which means very blockish. @Harry_Wild, that is not a Bronco mule, that's a spy photo of the refreshed 2018/19 Everest. 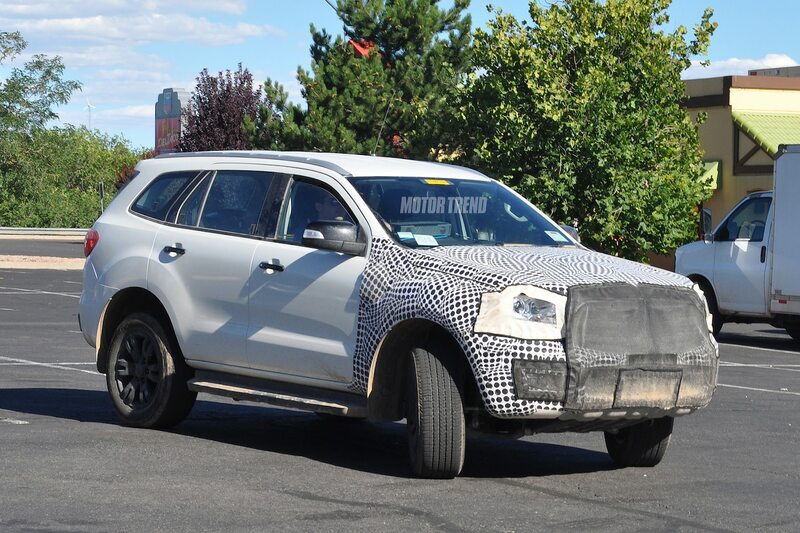 I can see the hints of the new grille and bumper under the mesh like camo. Here's a more recent photo without the camo. Last edited by AM222; 02-11-2018 at 12:08 AM. 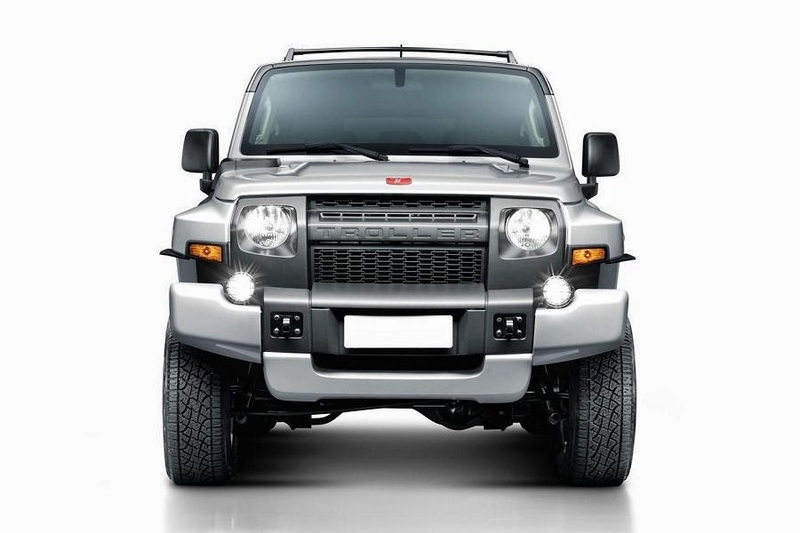 If the upcoming Bronco is not going be boxy; then this is the second best alternative in looks! It would be very "cheap" to just clone it like the Ranger and Ford for whatever reason, seem to be following this path it seems. I do like a boxy Bronco like the South America Troller or that of a more rectangle shape Bronco with 4 doors but Ford may not like that because of it not being aerodynamically shape. But the G Class SUV is what I want the Ford Bronco to look like personally! The Everest Raptor could land on these shores as a Bronco. After expanding its Raptor off-road treatment to include the mid-size Ranger pickup truck, Ford is now considering Raptor-izing its Everest sport utility vehicle. The Everest is essentially an enclosed wagon version of the Ranger, so the idea of an Everest Raptor actually makes some sense. There are some challenges to making an off-road SUV versus a pickup truck, but Ford Performance head engineer Jamal Hameedi told Drive that an Everest Raptor is a distinct possibility. "There's no reason [we wouldn't do an Everest Raptor]," he said. Ford Australia product communications manager Damion Smy points to the recent success of SUVs in the market as an argument for more performance utility vehicles. Ford recently unveiled the Edge ST, and an Everest Raptor could be an interesting compliment to that vehicles. "Long term it would make sense if you look at the fact that passenger vehicles were overtaken by SUVs this  year. There's definitely a case for more performance oriented or at least more sports styled SUVs in the future," said Smy. Last edited by 2b2; 02-15-2018 at 09:32 PM. Something tells me the Bronco we will see in NA will be a enclosed bed 4-door Ranger, what is Expedition is vs F-150. A very safe, soft and conservative design with trim packages to give it a little edge. But I still want a Everest size 4-door SUV that looks like this with removable roof panels or panoramic roof, with Outdoor wet/dry, Ford Performance and a Luxury package. Build solid and powerful. Looks like it can cross the African continent. EcoBoost, diesel, PHEV and Pure powerful AWD EV drivetrains. Bikes, camping gear can fit in the back, or on the roof rack. This should be a global outdoorsman's SUV, but nice enough for the city. Unstoppable. A SUV younger people will want because it's a badass Next Generation Bronco. Worthy of the name and putting Jeep and Land Rover on notice.